A bold design that's both stylish and sporty for active lifestyles. The Bloc Delta X4 Sunglasses boast XTR Karbon8 cat:3 grey lenses, which offer protection and clarity in bright conditions. 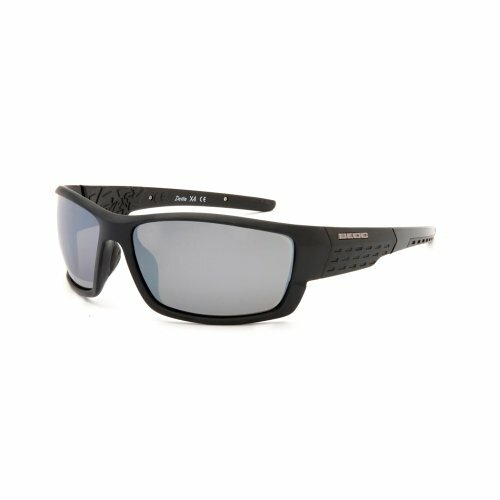 The lightweight KARBON TX(TM) injected frame features hypoallergenic nose pads and temple tips for comfort and a secure fit.FeaturesKarbon8 X4 Classic One cat:3 grey lenses - durable with maximum protection against UVA/UVB and harmful blue light up to 400nm.KARBON TX(TM) injected frames - flexible, lightweight, durable and comfortable.Sports hinges - designed for strength and a secure fit, ideal for active pursuits. Hypoallergenic nose pads and non-slip temple tips - designed for comfort and a secure fit.